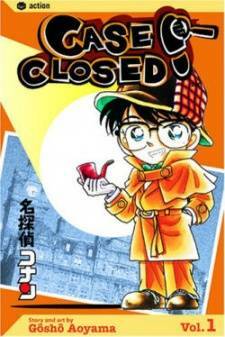 Scenario: It's the Christmas season and Ran, Sonoko and Conan are shopping. Ran is talking to Sonoko about, among other things, boyfriends. Sonoko's new boyfriend/accquaintance is popstar Justin Moon of the band Lex. The three meet the band and sing a bit of karaoke. It turns out that Justin is an arrogant, selfish punk. Justin is requested by a unknown person to sing "Bloody Venus", his signature song. Justin rips his jacket in the beginning of the song like he always does. When the song ends, the caterer Georgie brings in a spread. Justin grabs a riceball and talks about the future of the band. He wants to go solo and he starts another thought when his body seizes up. He collapses on the floor and dies. Upon initial examination, Conan smells cyanide. Conan realizes this death was murder, instigated by one of the band members. Inspector Megure is called in. Conan meanwhile examines the scene for any hints of motive. Amber, Lex's guitarist, is sighted as a suspect because of her love for Justin. Justin already had a girlfriend who was "away for a while" and called it quits. With no solid evidence though, Megure can't convict Amber. He returns to the station empty-handed. Conan notices a photograph in the room of another band. In the photograph is Justin; Sledge, the drummer of Lex and two unknown women. Sledge says one of the women is Mazy, the manager of Lex even though she looks nothing like the current Mazy. Using past evidence, Conan has solved the case. Meanwhile, the inspector gets a telephone call to meet him back at the karaoke room. 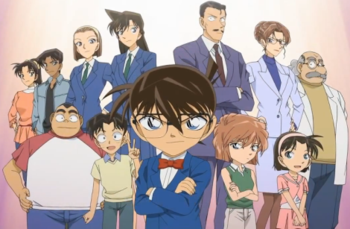 He tells Ran and Sonoko who are in the car with him on the drive that Shinichi has solved the case. Back at the karaoke room, the song "Rudolph the Red-Nosed Reindeer" is playing over the loudspeaker. This song was what drove the murderer over the edge when Justin requested it for her. The murderer is Mazy. The evidence is in Mazy's Lex jacket. It's Justin's lighter. Mazy placed the cyanide on her jacket and switched her band jacket with Justin's. When Justin ripped his jacket of during "Bloody Venus", the cyanide was exposed. His death was hurried when he ate a riceball with his contaminated hand. Mazy confesses and said that Justin hated her after she had plastic surgery even though it was done to impress him. Justin still loved her though. On the back of the photograph is a love song written by Justin dedicated to Mazy. Mazy realizes her mistake and bursts into tears.